"It was quite a shock to be named Instructional Designer of the Year Award at the Learning and Performance Institute’s Learning Awards earlier this month. It was even more of a shock as I only ended up an Instructional Designer by accident on this particular project! 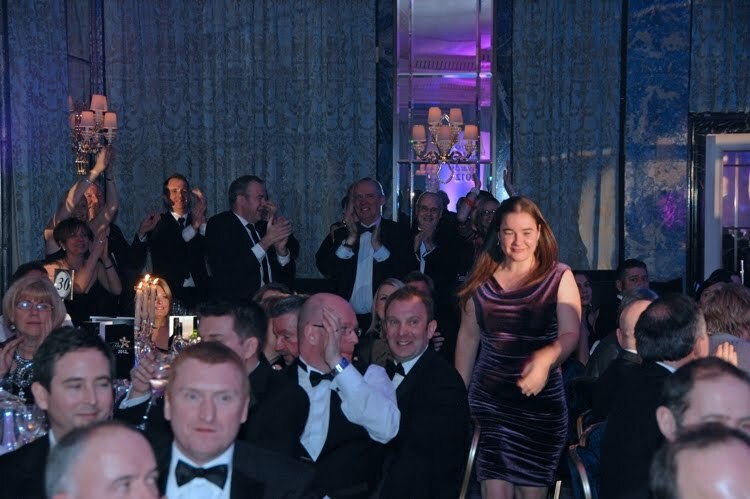 I am primarily a content developer, but as was the case with the Volkswagen Financial Services (VWFS) project that this award recognised, I’m often involved in initial ideas and implementation. No one gets too precious about job titles at Unicorn Training, and if someone has an idea that is discussed and liked, normally one where everyone feels the user is going to enjoy the learning as much as possible, then that person will regularly see their idea implemented. That’s not to say I haven’t had a few ideas that have quickly been cast aside too! 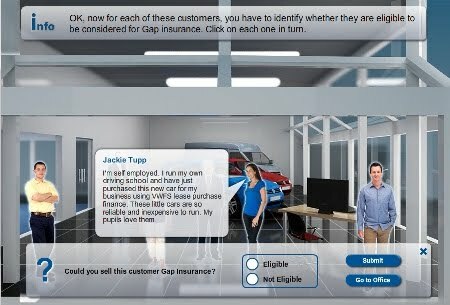 The basic brief for this project was that VWFS wanted a new bespoke eLearning course to provide pre-launch training on their new Gap Insurance product for 6000+ staff in their network of over 700 dealerships and distributors nationwide. But here was the challenge. Firstly the details of the new product were only finalised in early December 2010, with a planned launch date at the end of January 2011, meaning we had just six weeks to turn the whole project around during a period that included Christmas and New Year. Secondly, VWFS wanted a completely novel approach to the design, the level of which couldn’t be built in any of the popular rapid development tools. The showroom/office idea came up pretty early on but the details were a bit sketchy. Because we knew time was precious, I got on with building a ‘wireframe’ of the possible functionality /usability and we started taking a more iterative approach. This basically meant that we were able to break the project down into more manageable, less scary sized pieces that interlocked like a jigsaw as the project evolved. Graphics affected the Flash build, the build helped the scriptwriting and the writing influenced the build in return, and so on. It didn’t take too long for the final concrete solution to start taking shape. I’ve worked in eLearning for 11 years now and from experience, I knew I had to make the course quickly adaptable – it’s always possible things might change at the last minute! Text is held externally in XML format, so it can be edited, updated, re-written or translated by an SME in a convenient form, and instantly uploaded back into the course template. Similarly graphic assets and key design variables are held externally making it very simple for example to change background graphics and characters involved in the scenarios. This turned out to be an added benefit as we ended up building a highly-flexible Flash template that has been reused as a unique and effective rapid development tool for multiple courses and modules. It’s always exciting trying to bring learning to life, so the user is as engaged as possible. I think the Gap Insurance course looked really good and it was really pleasing how well it was received by users and the good feedback it gained. I’ll always be proud of the fact my work was recognised in this way but I was purely the figurehead of a close-knit team that was put forward for the award.